The 5th edition of Chengdu Biennale in 2011 adopted a “government plays a supportive and leading role, professional organizations operate” strategy. The biennale organization committee is established through the efforts of CCP Chengdu Propaganda Department and various cultural and art enthusiastic institutes are involved. Among which Chengdu Xingcheng Investment Co., Ltd. sponsors International Architecture Exhibition, Chengdu Media Culture Investment Co., Ltd. sponsors International Design Exhibition, Institutions of Chinart sponsors Art Exhibition and ETG Group sponsors Conference Center Exhibition, along with governmental supportive subsidies, a total sum of 35.3 million was invested in this edition, which reaches the highest in history. Based on previous biennales, 2011 Chengdu Biennale absorbed operation modes of major international biennials. Seeking to present a high-level international art pageant, about 200 artists from dozen countries and regions of Europe, America and Asia participated in the exhibition. The theme of 2011 Chengdu is intended to express how the garden city represents visible spatial change while duration indicates those spatially invisible layers of culture and art which play such a basic role within urban space. 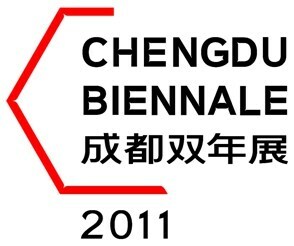 2011 Chengdu Biennale: Changing Vistas: Creative Duration.